Can you spot what I added last night? Did some prep work, then stitched while I watched TV. 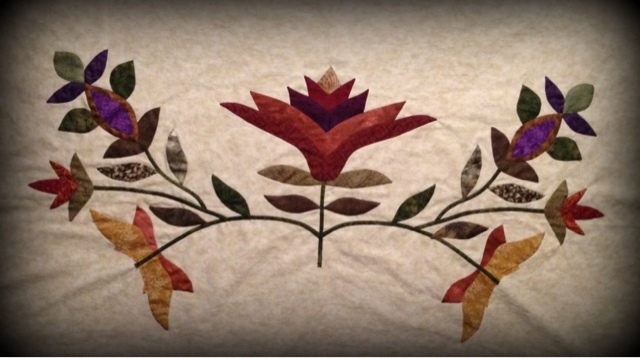 It’s now more than half way completed (the applique, that is!). 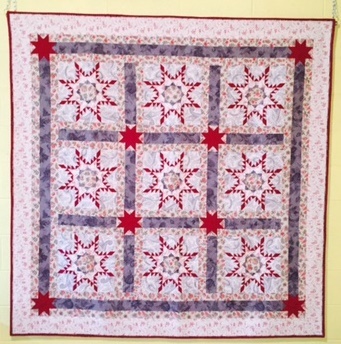 When this little quilt is finished, I’ll be assembling my quilt “Square Like Stickle”. The blocks are finished, but it needs sashing with little bitty 9 patch cornerstones. It's really coming together. I need to get motivated and start another block on my red and green quilt.